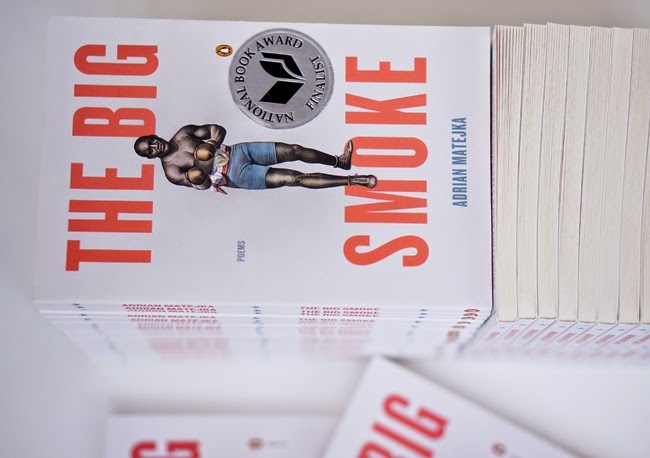 For two months now, I've been reading Adrian Matejka's The Big Smoke with about 50 or so collegiate black men. Matejka's book focuses on the famed boxer Jack Johnson. Some of us have been discussing the book in class, and many of us have been covering the volume as an online reading group. We've also had one public exhibit on the book. I've noticed several guys shifting their opinions of Johnson as we've continued reading Matejka's book. Initially, I'd hear many positive thoughts about Johnson. His eloquence and intelligence, as represented by Matejka, seemed to interest the young men. They understood and appreciated why Johnson had become such a popular cultural and historical figure. However, by the time we reached the second section, Johnson had begun to sour with many of the guys. "During these poems, I thought most about the arrogance Jack Johnson shows and how it relates to athletes today," responded one of the students. Another student wrote that Johnson "is very egotistical...the very opposite of a glowing positive role model." Matejka's poem "Cooking Lessons" really gave some of the young men reason to view Johnson negative, as the boxer explained to one of his lovers: "I wouldn't put / my hand on you if you'd do / what I say." Among other things, guys made a connection between Johnson and Ray Rice, the professional football player who was shown violently punching his then-fiancée and now wife. What stands out to me amid the conversations and written remarks is just how strongly the guys are responding to a figure in a volume of poetry. Their responses confirm the importance of extended treatments on a single person, along with a supporting cast, in a volume of poetry. Their are times that a listener to our discussions of The Big Smoke could assume we were talking about a novel, movie, and television series. Later, I might consider the limits and possibilities of viewing a poetry volume as something other than poetry. For now though, I'm pleased that Matejka's book has been serving as a gateway into poetry and into aspects of history. I'm looking forward to seeing how the views of Johnson might shift again as we continue reading.